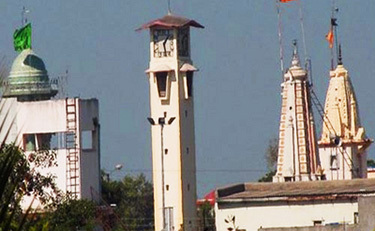 Shrirampur is a well planned city and a municipal council in Ahmadnagar district in the Indian state of Maharashtra situated at 19.62 N, 74.66 E in western Maharashtra. Shrirampur city is quite a new as compare to other cities. It is having history not more than 75 year. When Central Railway (India) Dound-Manamad Line was being laid a Railway station for the Village Belapur was made which is nearly 6 KM from the place where station was going to build. During this period people started living around the railway station. This area was considered as one of the major producers of sugarcane in the sugarcane belt in the state of Maharashtra. Over 10 to 15 sugarcane industries surrounded the town make for a very industrious economy. People from all parts of Maharashtra started to come in Shrirampur and settled down here. From 1940 to 1960 it was nationally known as jaggery (gur) market and from 1960s as ‘Sugar’ market. It has rail and road links with other major towns and cities. A number of sugar factories and small industries have sprouted in the vicinity. Business men of varied religious have flocked to this town and therefore it has Cosmopolitan atmosphere. The town is now becoming famous for its hospitals and various medical services. The local traders and intelligentsia naturally felt the need of a college imparting commerce education. Rayat Shikshan Sanstha took an appropriate decision in June 1962 and established a separate single faculty commerce college at Shrirampur. The Sanstha was already running R.B.N.B. Arts and Science College along with S.S.B. College of Education. A local social worker and businessman Late Chandrabhan Roopchand Dakale generously donated a sum of two lakh rupees. With the financial help of the people and the grants from the University Grants Commission, the college is now fully developed.